Are you a cruise aficionado? Want to channel your love into a work-from-home job? Well, World Travel Holdings (WTH) is hiring travel sales agents to work from home in 42 states. In this role, you’ll be responsible for selling travel packages (from the introductory video, it sounds like mostly cruises). 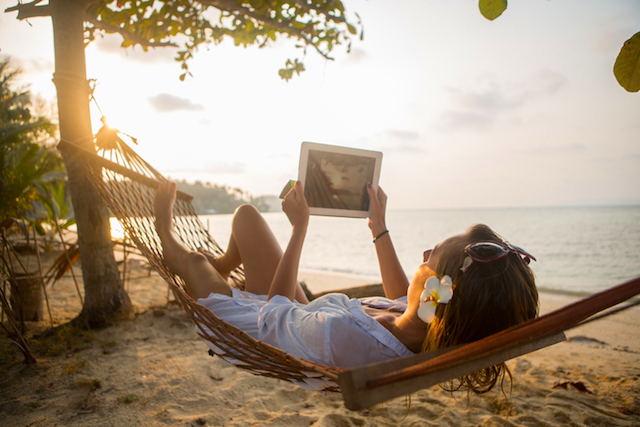 You’ll take inbound calls, follow up with current clients and book their vacations. The company provides your computer equipment and six weeks of training, so you don’t need much to get started. To be eligible, you must live in one of these 42 states and have a year of sales and service experience. You’ll also need good time management and communications skills, and be technically savvy and passionate about travel. Once hired, it’s important to note you won’t be working a typical 9-5. After 90 days of employment, you’ll be eligible for benefits like medical and dental insurance, a 401(k), travel discounts and paid vacation. All that said, I urge you to read the reviews on Glassdoor before applying — as they’re quite mixed. You’ll be able to work from home, yes, but that doesn’t necessarily mean your work-life balance will be in tune. Most employees enjoyed the convenience of telecommuting, but called the hours “difficult” and metrics “unfair.” Several also said they’re frequently asked to work on their days off. So take these reviews into consideration when deciding whether World Travel Holdings is right for you. And if you work for this company (or have in the past), please let us know what you think! Your Turn: Do you think this travel job sounds fun?